For those of you who have read my book Tactical Fly Fishing: Lessons Learned from Competition for All Anglers, you know that one of the themes in the book is giving you strategies to think about how and when to fish the "in between" water. Let me provide another example from this last weekend. I had spent the morning with my family and showed up to the river later than anticipated. Even though the high temperature for the day was in the mid-20s Fahrenheit, every parking lot on the river had half a dozen or more cars in it. I'd spent the night before tying up some new midge dry flies that I wanted to test on some fish that had been rising readily when I'd fished earlier in the week with my friend Lance Egan. The only problem when I arrived at my target water was that four anglers were standing in the pool and glide where we had fished the last time. I peeked around the corner and the next several slower and deeper pieces of winter holding water all had multiple anglers in them. I'd walked past a lot of pocket water on the way to this section of river that was empty and it was a 15-20 minute sweaty walk in too many layers of clothes back to the water near my car, which also had lots of anglers in the better winter water. Resigned, I turned the corner and started wading back up the river through the water I had walked by to see if there were a few spots I could coax some fish from. To my surprise, there were 10-15 fish rising in a pocket water slick downstream of some boulders and a log lodged across them. For the next two hours I caught fish consistently on midge dries. Eventually the rises and action slowed so I swapped rods and picked up where I left off with some Quilldigons and Lite Brite Perdigons on a micro-thin leader. The spot I had been fishing was by far the largest, slowest, and deepest of the pockets I had seen so I milked it until it was pretty dry, which was fine as it had been very kind to me. Upstream the river gradient was high for a long stretch and didn't look like attractive winter water given that I had taken a temperature just shy of 39 degrees F. Still, with the heavy midge hatch that day I expected to find some nooks and crannies of water just deep enough and slow enough to give up some fish. What I found was even better than expected. As I continued upstream I found a series of rock jetties jutting out from the bank which created slow seams and eddies. At first glance these spots were boisterous and turbulent which generally doesn't suggest good winter water. However, in each location, there was water near the bank that was slow enough and deep enough to hold willing fish. In fact, the worst of these spots gave up three fish and the best gave up almost ten. This pocket water didn't look like typical winter holding water but there were golden nuggets in the slow current downstream of each group of rocks. In some cases the fish were on the bank side of eddies where the current was flowing in reverse direction. 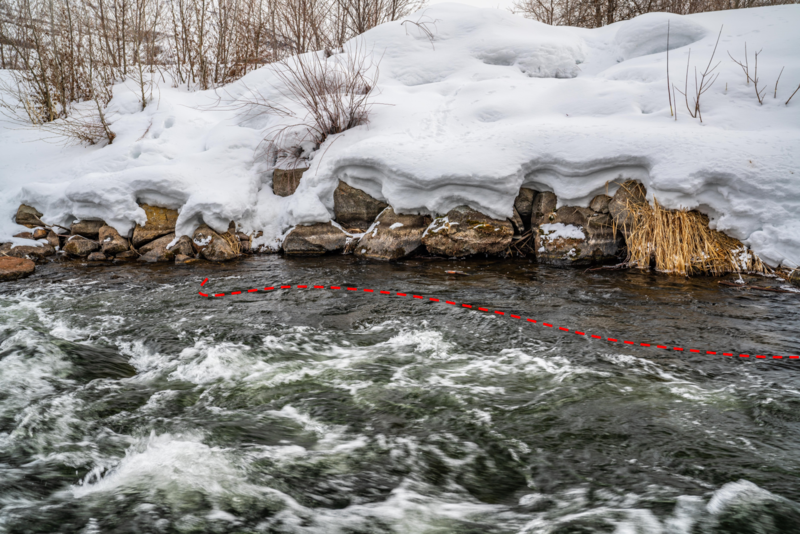 In these situations I fished the reverse current until the eddy turned and reversed my drift the other way and used my rod tip to guide my drift in the direction of the flow. Quite a few fish were sitting in the eye of the eddy where the current changed direction. 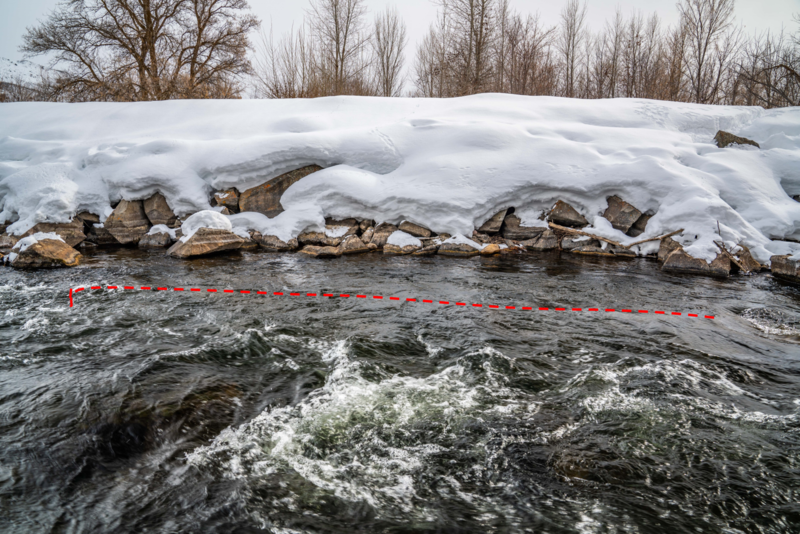 Where there wasn't a clear eddy, I focused my casts and drifts on the slow sides of seams. On this trip the fish were concentrated in the slower water on the banks. The dashed lines in the photo above delineate the water where I did and did not find fish. One of the many golden nuggets which fell to a Quilldigon on the day. We've all heard the cliché saying about making lemonade when life gives you lemons. I'll admit that I was a bit bummed at not being able to fish the water I had been thinking about prior to my trip. Yet what I found ended up being better than what I had envisioned to begin with. 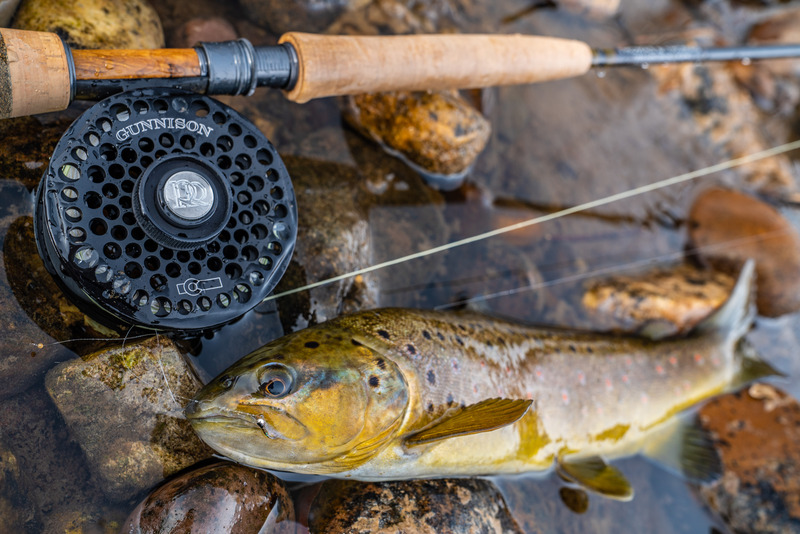 I still enjoyed lots of fish eating dry flies and the fish I caught acted like they hadn't been bothered in months because they likely hadn't. Even on this busy weekend outing, once I turned the corner away from the popular pools I didn't see another angler all day. So go find some new water on your local river the next chance you can get out. 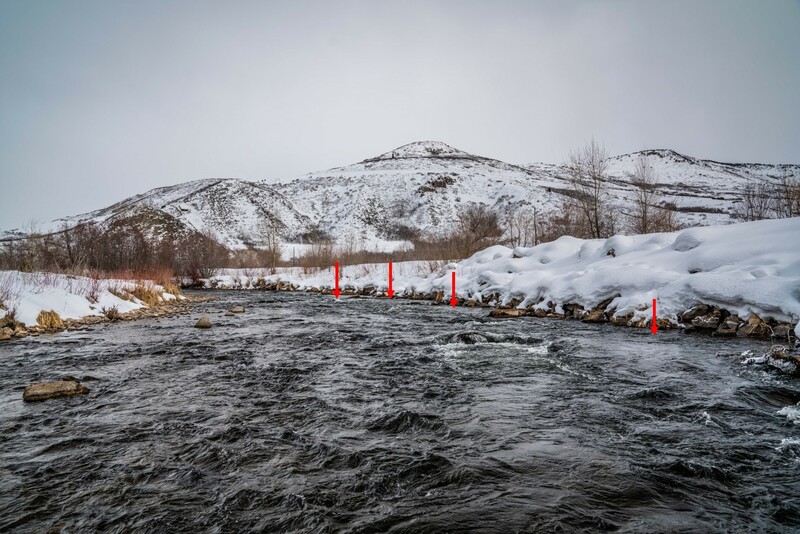 Even if your go to "winter water" is taken by other anglers enjoying the river, if you look hard enough you'll find water that is slower and deeper relative to the surrounding water that will likely hold some fish. And you may just have a banner day that holds you over until the next time you're out fishing again.